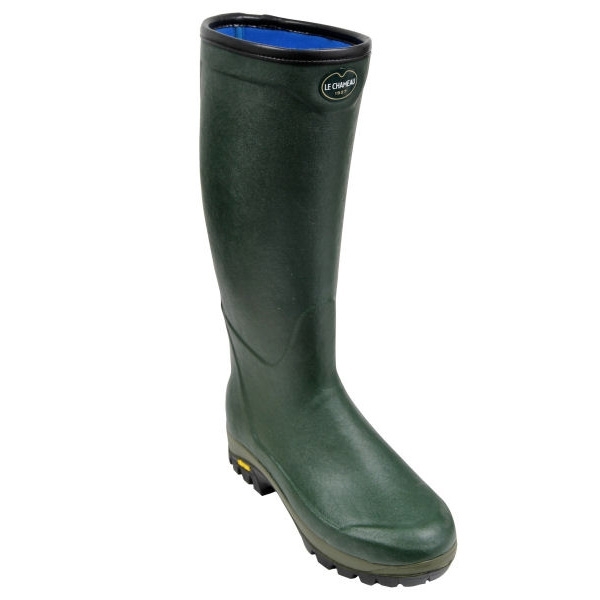 Le Chameau Unisex Country Vibram Neoprene Wellington. Had a pair of these for 2 years, very comfortable and warm. Sole and boot very durable, sole shows very little sign of wear. Only problem is they started to leak around where the sole is attached to the boot, the sole and rest of the boot is fine. Getting fed up with wet feet when walking through wet grass, not really what I would expect from a boot of this quality.